Johnny Manziel, the redshirt freshman quarterback for Texas A&M received an invitation to attend the Heisman presentation ceremony. The field of candidates was narrowed to three finalists leading to a potential for Johnny ‘Football’ to become the first freshman to win the coveted trophy. Notre Dame’s star linebacker Manti Te’o and Kansas State quarterback Collin Klein are also finalists. Johnny ‘Football’ put up more impressive stats than ones put together by Robert Griffin III in 2011, Cam Newton in 2010 and Tim Tebow 2007. Manziel topped both RGIII and Tebow in Rushing Yards and Newton and Tebow in Passing Yards and Total Offense for their perspective Heisman years. 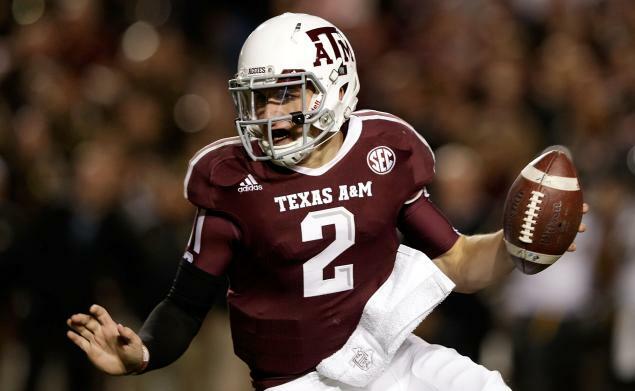 Manziel quickly became a sensation this season leading the Aggies to a 10-2 record in their first season in the SEC. Under his leadership, Manziel handed #2 Alabama it’s only loss this season. Manziel and Texas A&M will play Oklahoma in the AT&T Cotton Bowl.